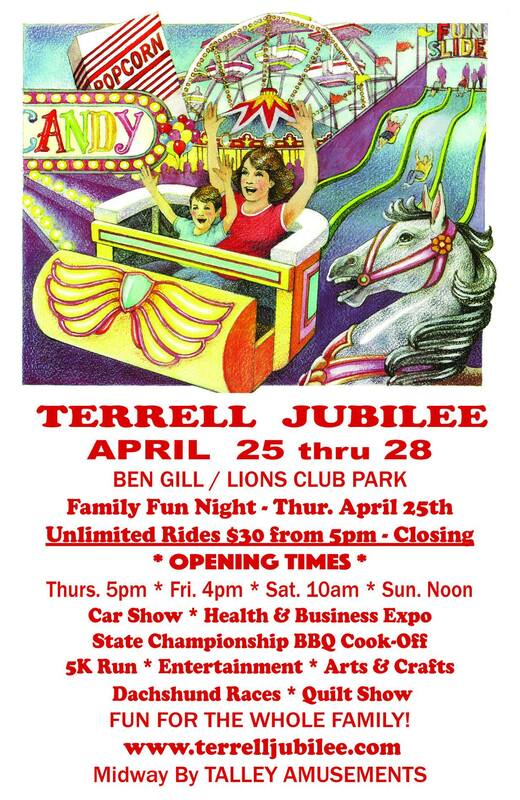 The Annual Terrell Jubilee is a fun-filled celebration for the whole family. Events include: a BBQ cook-off, museum tours, arts & crafts exhibition, carnival, live music, a quilt show, an auto show, a rodeo, the Fountain 5K Run, and other special attractions. The celebration traces its origins to a livestock show first held in 1981. In subsequent years the show added entertainment, games, contests, food. Heritage Jubilee retains the western flavor of the original livestock show.